Tania White Jackson M.D. (Plano) - Book Appointment Online! 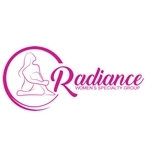 Complete Pregnancy Care We would be honored to care for you during your pregnancy. Experienced board-certified physicians and nurse practitioners will work together to ensure you receive the very best care for routine or high risk pregnancy. Our focus is making your pregnancy and delivery a safe and enjoyable event for you and your family. Pre-conception Counseling Infertility Evaluation Pregnancy Testing and Confirmation Antenatal Obstetrical Testing First Trimester Bleeding Routine Pregnancy-Complete Care & Delivery High risk Pregnancy- Complete Care & Delivery Annual Health Exams & Preventive Care Annual reproductive health exams, family planning, birth control, health screenings and preventive care are the building blocks for women’s health. Ultrasounds Fetal ultrasound provides you and your doctor with a first glimpse of your developing baby.